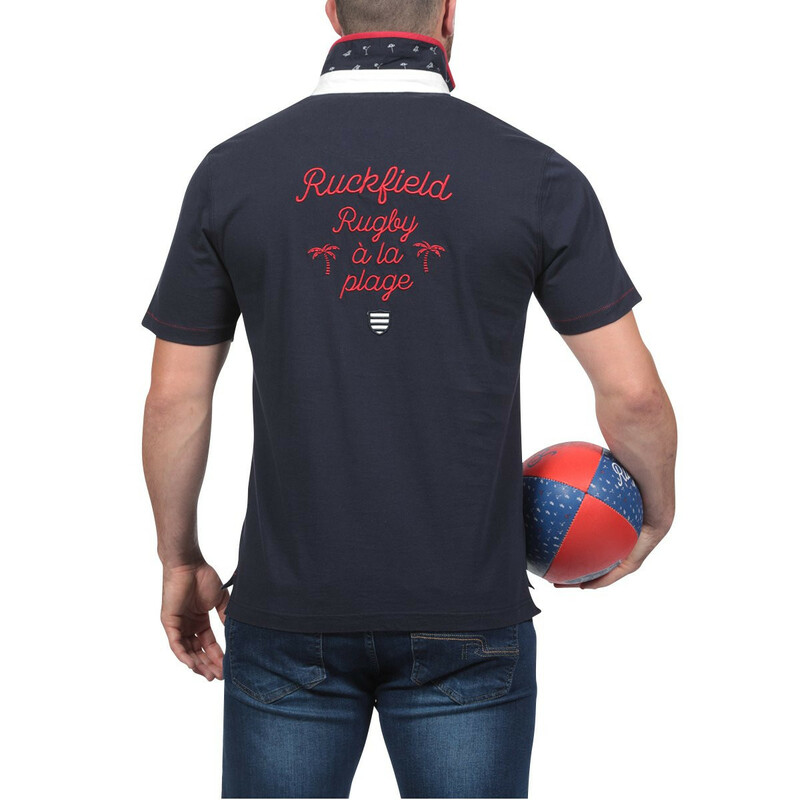 Ruckfield is proud to present this gorgeous short-sleeved navy blue polo shirt from the theme of Rugby à la Plage. 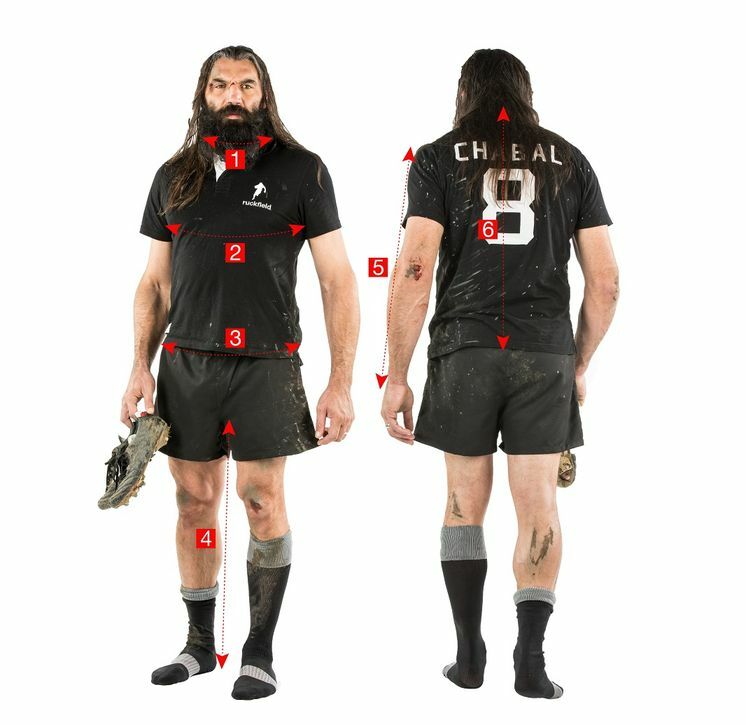 You will love the badge and Rugby à la Plage prints on the chest and back. 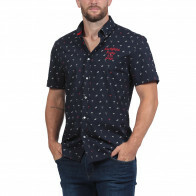 The contrast button tab and red edges at collar level add a lot of character to this beautiful piece. The collar lapel patterns emphasize the summer look. 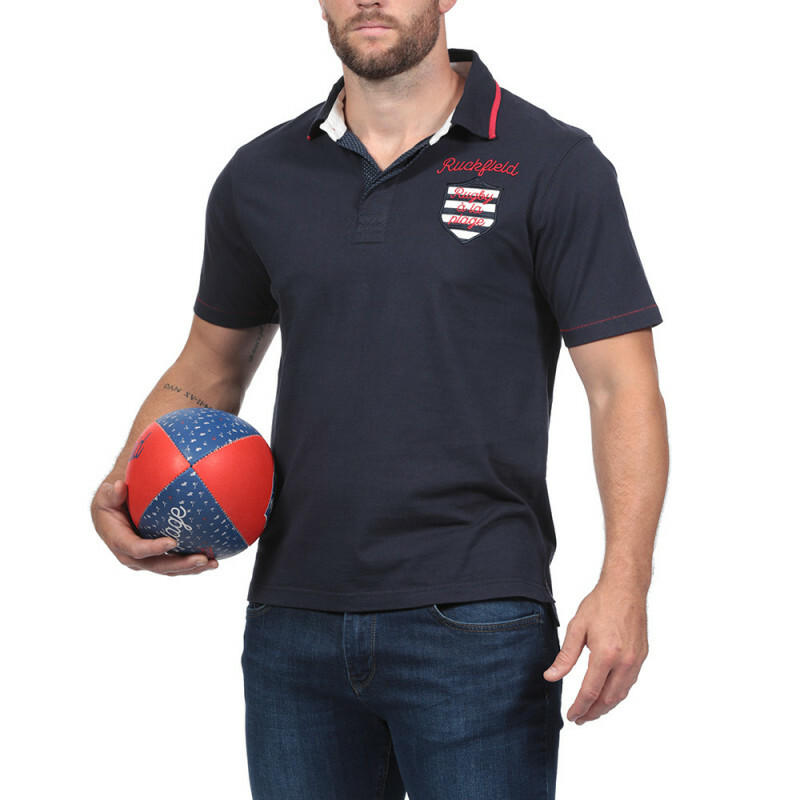 Start the season with this superb cotton jersey polo shirt !